Ron has been with the MIC since 1995. The full range of the MIC’s transportation activities–from pedestrians and bike travel to train, truck and air travel to roadway planning–continues to be rewarding and stimulating. Ron has a B.S. in Geography from the University of Wisconsin-Madison and a Masters Degree in Urban Planning from the University of Kansas. He is a Certified Planner and also serves on a number of national transportation related committees. As MIC Director he is responsible for overall administrative functions and project oversight. Outside of work, he enjoys many outdoor activities including travel, golfing, biking, and cross-country skiing. A favorite pastime is competing in combined biking and running events (duathlons) throughout Wisconsin and Minnesota over the summer months. 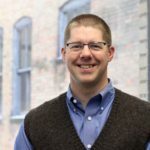 Sheldon is the Executive Director of the Northwest Regional Planning Commission, and serves as the MIC’s Deputy Director, representing the Wisconsin side of the MIC planning area. He has a B.A. from the University of Minnesota-Duluth in Geography and in Urban Studies and an M.A. from Mankato State University in Urban and Regional Studies. He is member of the American Planning Association and is on the Board of Directors of the Transportation Development Association of Wisconsin. 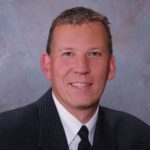 His responsibilities with the MIC include development of the Superior Urbanized Area TIP and consultation on transportation issues with local, state, and federal officials on the Wisconsin side of the MIC area. James has worked at the MIC since 2004. He earned a B.A. in Urban Affairs from Saint Louis University and a Master of Urban Planning from the University of Kansas. His work is focused primarily on coordinating community efforts to address the bicycle and pedestrian issues that the face the Duluth-Superior region. He facilitates the MIC’s Bicycle and Pedestrian Advisory Committee (BPAC) and contributes to various corridor plans and transportation studies. Outside of work, James likes to travel to new cities to observe what makes them livable and unique. The next city on his list to visit is Bogota, Columbia. When not traveling, James likes to spend his free time walking all around this area exploring the neighborhoods and the urban wilderness areas. Barb works part-time to coordinate policy board and advisory committee meetings and is responsible for writing the meeting summaries. She provides assistance to other staff members when the need arises, including learning to update the MIC website as well. She graduated from the University of St Thomas with a BA in Mathematics and also brings quite a varied background in customer service, office processes and procedures. When not at work, she enjoys her gardens, making old things new, updating her home and keeping up kids and grandkids. 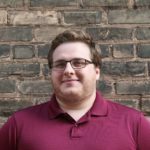 Ricky started working for the Duluth-Superior Metropolitan Interstate Council in November 2017 as GIS Specialist after a three month internship with ARDC’s Regional Planning division. He graduated with a BS in Physical Geography from the University of Wisconsin – Superior and a minor in GIS. He studied in Scotland for a semester and traveled all over Europe and is excited to go back at some point. Besides traveling he enjoys working on cars, and building and working on computers. Rondi has worked for the MIC since 1999. As its Communications Coordinator she manages the MIC’s presence on its website and social media outlets, develops communication pieces and partners with MIC planners to implement public involvement strategies for a wide range of plans and studies. She studied English and Public Health at the University of Minnesota and worked for eight years in Human Resources at the Minneapolis Institute of Arts. Now an enthusiastic Duluthian, she enjoys walking and biking to work year-round and serves on the Duluth Transit Authority board. And don't get her started about the ways a battery-powered e-bike can improve bicycling as a commuting option in a city of steep hills and strong winds! Mike began with the MIC in 2016. He has a BS in Water Resources – Aquatic Toxicology from the University of Wisconsin-Stevens Point, a MS in Environmental Toxicology from Clemson University, and a MS in Urban and Regional Planning – Land Use Planning from the University of Wisconsin. Mike has over 20 years of experience working on a variety of water-related, solid waste, recycling, composting, shoreland zoning, recreational trails, and brownfield redevelopment projects for numerous sectors with a wide variety and diversity of people. He looks forward to utilizing and expanding upon these past experiences in his role as a transportation planner. Mike is leading the coordination of the MIC’s Harbor Technical Advisory Committee (HTAC), Connections 2045 - Duluth Superior Long Range Transportation Plan, and Duluth-Superior Area Truck Route Study, while also assisting in other MIC work. Mike enjoys paddling canoes and kayaks, especially while exploring wilderness areas or class 1-2 whitewater rivers. He has had many canoe camping trips to the BWCAW, as well as a 400 miler down an Alaskan arctic river. Mike also enjoys traveling and exploring the North Shore with his wife, backpacking, meeting people, and securing healthy local food via vegetable gardening, fishing, and deer hunting.